So Many Stuffs to Handle When Come to A Wedding Right? No Worries, II can assure you Get it Done at Red Ribbon Wedding Works Open Day ! 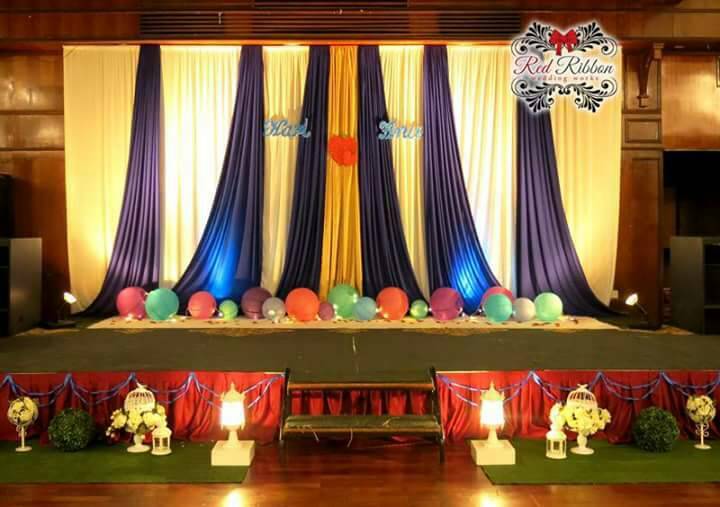 From Food Tasting, Photography Preview, Hall Environment as well as the decoration/theme colors! 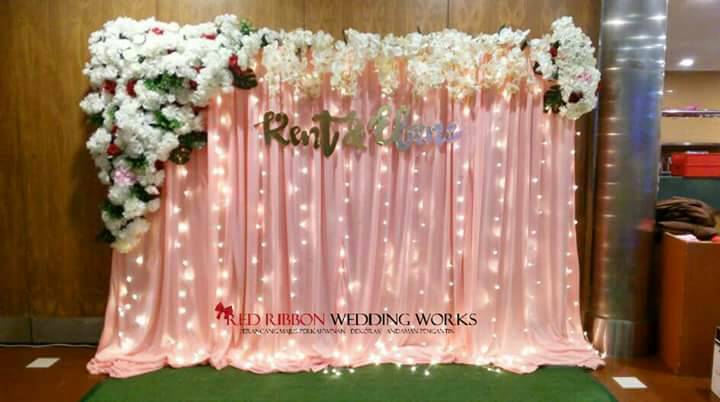 It was aimed at introducing the Wedding Package with the cooperation of Red Ribbon Wedding Works and the SM Syahidzuan Hall, catering, photography that is currently one of the best wedding packages in the Bangi area. 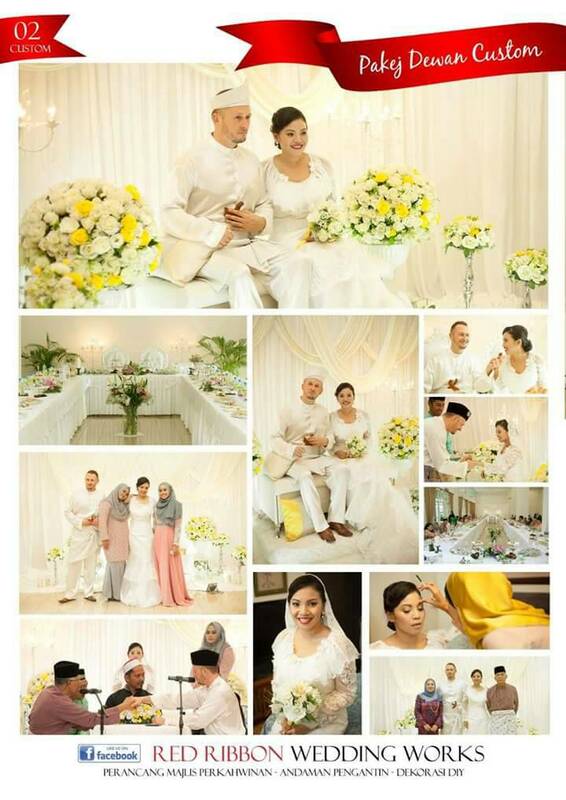 SM Syahidzuan Hall, one of the most comfortable, comfortable and classy places to hold an "Industrial Chic Wedding" indoor event. The hall has also witnessed a number of wedding ceremonies successfully in 2016 and 2017. With a clean interior, furnished with air cond, carpeted and chiavari chairs that are now a trend amongst guests. This board will be a promising venue for many more upcoming events. The Open Day, held from 12 noon to 7 pm, will feature the theme "tropical garden", which is a frenzy at this time. 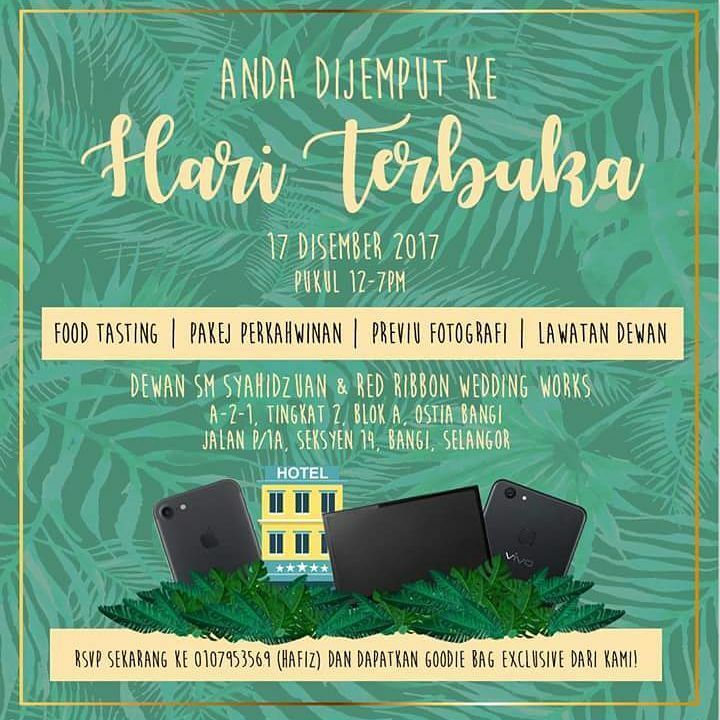 In addition, will also hold a "Food Tasting Session", wedding package consultation, photographic previews, décorations and hall and its facilities. 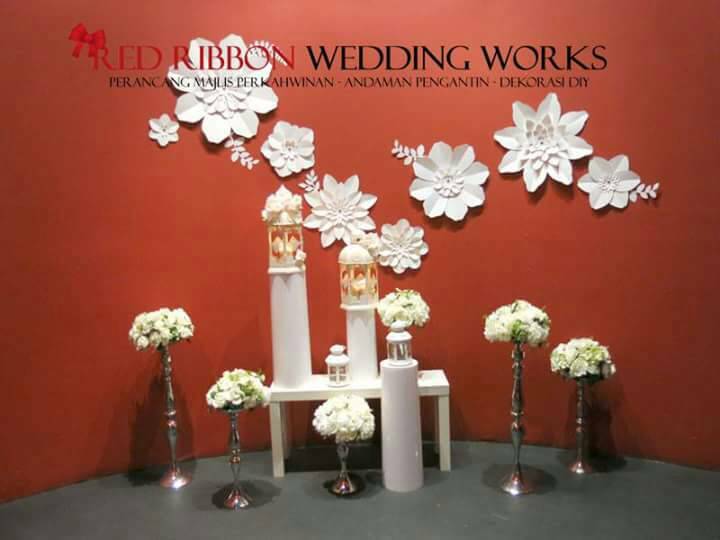 Couple & Family will be able to visit the hall and see and feel like real wedding events organized by Red Ribbon Wedding Works. 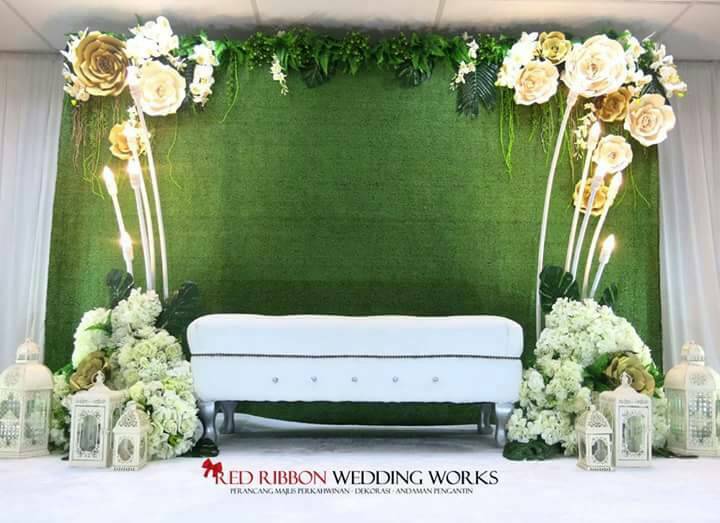 The venue will be set up in a themed wedding set, allowing guests to imagine how their dream day will look. 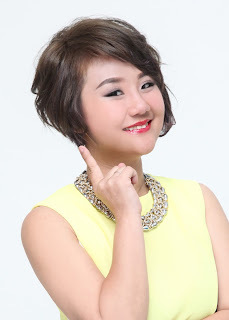 Guests can communicate and inquire directly to experience wedding consultants team. Do drop by and experience our trusted service, hand us over to manage your special day and make sure everything goes smoothly as you and your loved ones enjoy the wonderful moments of your wedding day. Entrance is FREE to this Open Day. Free Goodies Bag For RSVP-ed Guest Ya! 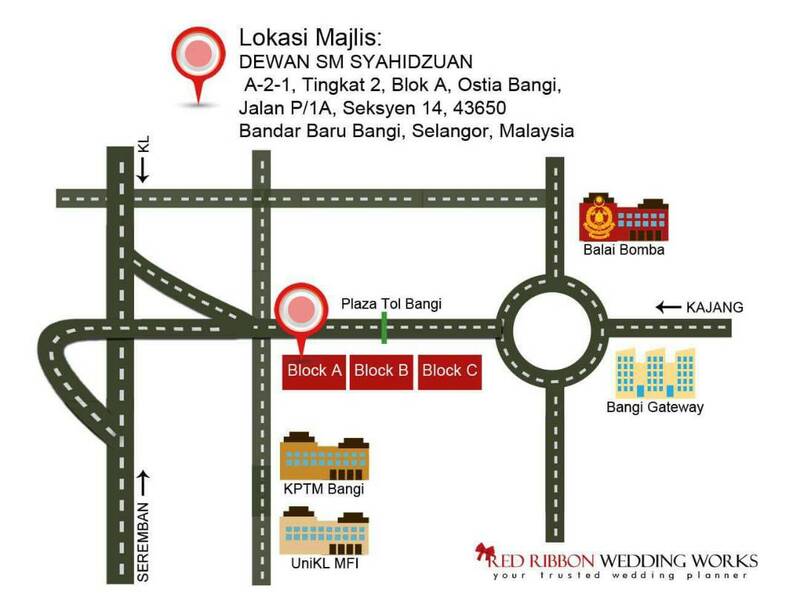 Adress: A-2-1, Tingkat 2, Blok A, Ostia Bangi, Jalan P/1A, Seksyen 14 Bangi, 43650 Bandar Baru Bangi, Selangor.